Sheriff James McDonald is a lifelong resident of Warren County. 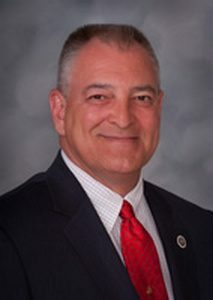 Prior becoming Sheriff, he served 30 years as a police officer in Washington Township, 19 years he was Chief of Police. Sheriff McDonald Sr. was a graduate of West Point Command and Leadership, New Jersey State Police Academy and the Morris County Police academy. He is a certified Police Training Instructor, an Instructor for Response to the Active Shooter and 18 years as a D.A.R.E instructor. Sheriff McDonald Sr’s past and present memberships are as follows: New Jersey Association of Chiefs’ of Police, Warren County Police Chief’s Association in which he served 13 years as President, Board of Directors at the Warren County Police Academy, Warren County P.B.A. Local 280(Life Member), New Jersey State P.B.A, Warren County D.A.R.E Officer Association, National Rifle Association, Washington Rotary Club, Phillipsburg Youth Athletic Association and Municipal Alliance.